I just got back from an amazing event on the South Lawn of the White House. It was a beautiful, sunny afternoon and 50 youth from the Thurgood Marshall Academy Public Charter High School had the opportunity to celebrate Great Outdoors Month and the one year anniversary of Let’s Move Outside! Members of the Outdoors Alliance for Kids (OAK), the Administration and others participated in five outdoor recreation activity stations to teach youth new skills to enjoy active time outdoors in nature. The National Wildlife Federation and REI participated in a learning station where small groups of students received hands on experience in camping. They gained new skills for enjoying the great outdoors and now know how to pitch their own tents. The students were excited to engage in a variety of activities including rock climbing, kayaking, healthy snacks, fly-fishing and mountain biking – and even assembled their own healthy trail mix; the perfect healthy snack for their next outdoor outing! 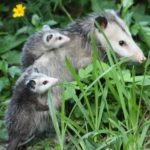 Later this month, in support of Let’s Move Outside and with the support of REI, thousands of American’s will participate in the Great American Backyard Campout on June 25th and find close-to-home parks and green spaces through NWF’s Nature Find. 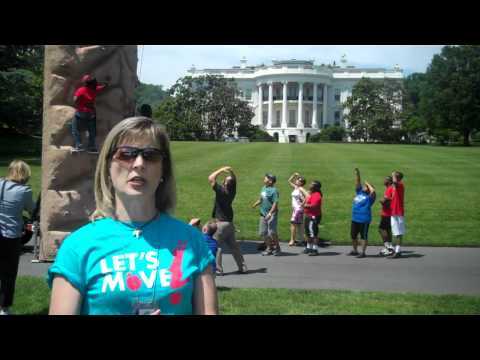 It was a fun afternoon on the White House lawn to help support Let’s Move Outside. And most importantly, the students had a blast! For more updates on Let’s Move Outside and Great Outdoors Month, follow me on Twitter – @PatrickNWF.